Oversized residences located in the thriving heart of Mascot, set within a peaceful landscaped sanctuary, just 5km from the Sydney CBD, and 100m to Mascot Train Station. Construction in progress, completion in mid 2019.
landscaped gardens through floor-to ceiling glass windows. Set on a prime corner position with three street frontages, Spectrums colours will flourish with its sanctuary-like podium gardens, beautiful parklands and enviable position at the centre of an increasingly vibrant inner-city neighbourhood. 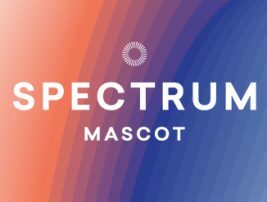 Spectrum will take shape 100 metres from Mascot train station and will be within easy reach of universities, colleges and schools only 5km from Sydney CBD. With easy access to Spectrum’s ultimate resort facilities, you can ensure your family or friends will be entertained with a variety of leisure activities all year round. Meriton takes conservation and environmental impact seriously. We’ve worked closely with local councils, governments and suppliers to ensure Spectrum’s luxury apartments tread lightly on the earth. These measures not only contribute to the public good, but also significantly reduce your strata levies and utility bills. Apartments are fitted with energy efficient globes and a central hot water system reducing your bills and greenhouse gas emissions. * These figures are averaged out across all apartments. The star performance is assessed on approved house energy modelling software. ^ Compared to the average pre-BASIX building. † The listed savings are benchmarked against a typical pre-BASIX building. The savings calculations are based on the Department of Planning and Environment’s average energy use per person and the Australian Bureau of Statistics’ average occupancy rates. South Sydney’s transformation over recent years has seen it emerge as a wonderfully vibrant, cosmopolitan region, full of colour and diversity. Mascot’s airport-link train station is only 100m away, offering frequent services to Sydney Airport, the City and surrounding areas. A thriving business community is located at your doorstep, with diverse employment opportunities from almost 900 businesses based in the area.